Click here to visit the CVS facebook and like them. Then on the “Enter To Win” tab, fill out the form. On the next page, they’ll tell you if you’ve won 1 of 110 prizes. 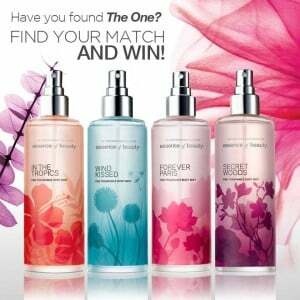 Each prize includes an Essence of Beauty Collection that has a 8 oz. Fine Fragrance Body Mist, 8 oz. Body & Hand Cream, 8 oz. Body Lotion, 10 oz. Bath & Shower gel, and 2 oz. Fine Fragrance Body Mist. In addition to that, 10 grand prize winner will score a free $500 CVS gift card. Good luck!